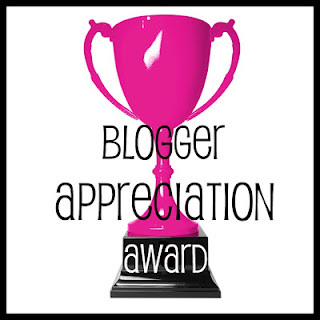 hanny.only: Blogger Appreciation Award Tag..
ok, answering those questions right about.... Now!! i'd say i've been writing about beauty blog (almost) a year now.. see, i'm a newbie.. i also have general blog, but lifestyle and stuff.. been going 'bout 4 years..
1st of all, i love writing about everything.. (basically i'm a chit-chatty person).. but sometime you cannot really say about how you feel and what you think in verbal.. so writing is my drug of choice.. stress release and mind calming (can we use that?)..LOL! the DESIGN of course.. the variety of writing materials.. and the grammar (of course)..
so, thanks again Marcelle from allthatmakeup for the tag.. now, i'd like to tag my fave beauty blogger/youtuber Julia from MissChievous.. check out her youtube tutorials..